The IoT industry is booming, and big data is a major factor in that growth. You’ve invested in a connected solution for your business to operate it more efficiently and stay competitive. To get the most value out of those system elements, you need to collect and use the data resourcefully. Software is the tool you use to put that data to work. Business executives and IT professionals alike can quickly find themselves overwhelmed with either making existing data solutions work, or creating new ones. Custom software development to connect legacy systems, create a new application or provide additional information from your systems might be the solution. This is where a professional services team adds value to your operations. Your software needs to answer three big questions. Can you communicate with the devices that provide the data? Where will the data be hosted? What type of information are you sharing with each audience? Your business invests in IoT solutions to collect and use the data accessed from your systems. However, implementing and connecting to the data isn’t always the total solution. 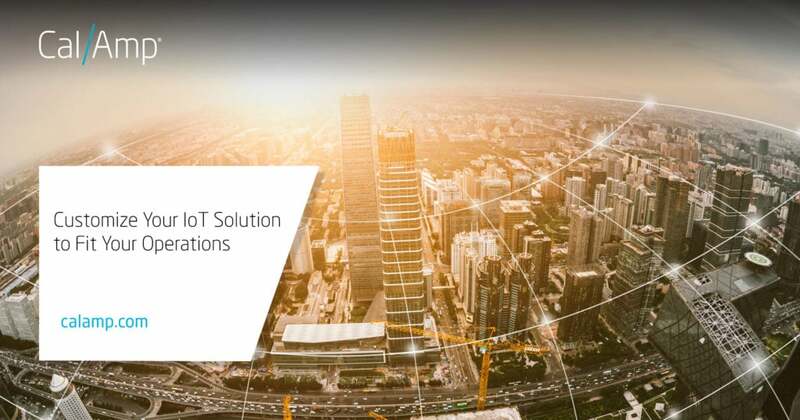 The information you need from the IoT solution evolves over time. A professional services team that creates custom programming to connect legacy and internal systems to the new ones is a vital part of ongoing operations. After all, this programming is how you gather the raw data you need. Data hosting is another challenge in the world of connected machines. The platform that you choose is more than a storage hub. It is also the communications center. The CalAmp Telematics Cloud (CTC) provides an existing framework of services to connect devices, collect and store data and provide data analysis tools. You can further customize your data analysis tools through custom APIs. This gives you the data that you need, and sometimes the data you want to share with others outside of your organization. Your telematics solution might include information your partners and customers need, too. Consider the services that municipalities provide to their residents. Municipal leaders are not only responsible for efficient operations of services like fire and rescue, sanitation and transportation. They must also share information about those services with their communities. A telematics solution helps on both fronts. The city of Ann Arbor, Michigan found it’s solution by tapping into its fleet vehicle information and a public-facing portal that shows residents where the plows are currently removing snow. CalAmp is an industry leader in the connected industry. We’ve installed more than 20 million devices, and provide software and professional services to over 650,000 subscribers. Your telematics solution is greater than the sum of its parts. CalAmp’s professional services can help you get the greatest value from each part.